SYRACUSE, N. Y. – Dewitt-based embedded electronics engineering company, Critical Link, LLC, was recently selected as the 2019 STEM Company of the Year by the Technology Alliance of Central New York (TACNY). This award recognizes a local STEM company that has made recent outstanding contributions to new or innovative products, processing technologies, or productivity leading to enhanced business. “Central NY is home to a number of impressive technology companies, large and small, with several well known to local residents. Critical Link, while maybe lesser known, has been making impressive technology contributions in CNY for more than 20 years,” said Howie Hollander, president emeritus of TACNY. “The Celebration of Technology Awards review committee is very pleased to recognize Critical Link as the 2019 STEM Company of the Year. 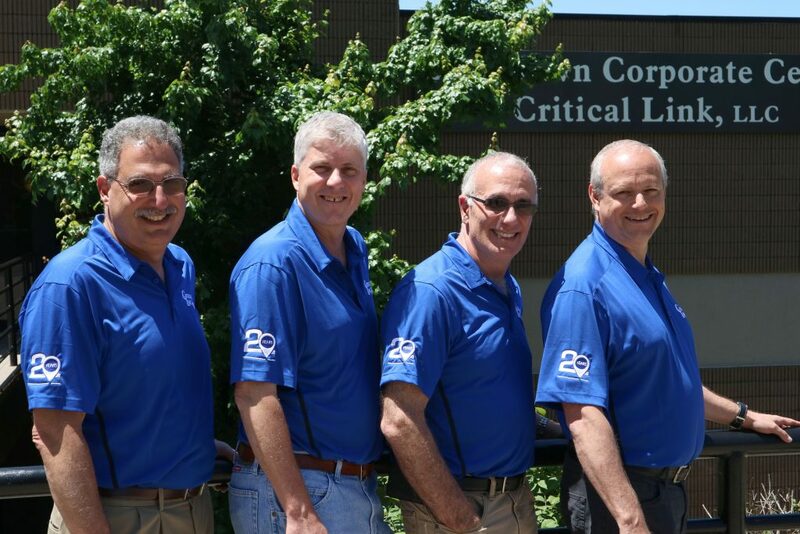 Critical Link Founders celebrating 20-years in business in 2017. Founded in 1997, Critical Link designs and manufactures board level processing cards (called System on Modules) and embedded imaging platforms for industrial electronic applications worldwide. The company delivers advanced technology solutions for customers in manufacturing, energy and utilities, defense, medical, laboratory science, transportation, and many others. “Although you won’t see our name on them, our technology can be found in tens of thousands of products across the globe,” explained CTO and co-founder, Dave Rice. Critical Link’s principal engineer, Michael Williamson, also won in a second category– Technologist of the Year. The company will accept both awards at TACNY’s 20th Celebration of Technology Banquet on April 8th at the Holiday Inn in Liverpool. For more information about the event, and a full list of winners please visit www.tacny.org.